On the other hand Pandit Deendayalji took the stand that those old things which deserved to be retained would be retained, and those new things which may be beneficial would also be accepted. He meditated on these lines, and through this meditation emerged Integral Humanism, the political, economic and social philosophy that he found most acceptable and which he put before the people. 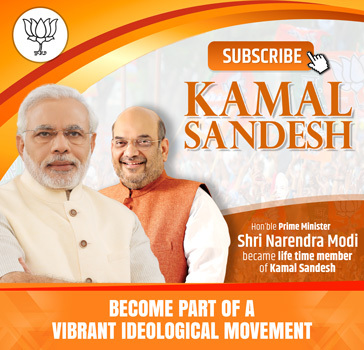 The importance of Deendayalji’s comprehensive thinking is now being realised. For example, when our plans were drawn up in the beginning people were told to fell trees and bring the land under cultivation. But now it is being realised that felling trees would actually have a detrimental effect on agriculture. Even in other respects thinking in our country had become compartmentalised. Some said everything that a man did has a same urge. Others said the urge is economic. But man cannot be divided into compartments like this. We have to think of man as a whole. All our great thinkers like Lokmanya Tilak, Swami Vivekanand and Mahatma Gandhi propounded this comprehensive nature of the human being in their philosophy. And it is on these lines that Deendayalji’s concept of an allround life of the individual is based. ‘Deendayalji was quite clear in his opinion that any inequality in society was undesirable and should be removed. He did not hesitate to say that if the Varna and caste system created differences of high and low in the society it would be overthrown.’ On the other hand he also said that people today are very much given to thinking of money. He said both an absence and an abundance of money create problems and should be guarded against. Similarly Deendayalji accepted that the machine age has come to stay, but he held that only that much machinery should be allowed as would not bring problems in its wake. It would not do to keep the examples of Russia and America before us while drawing up our plans. They are geographically very big countries with small populations and still possess a lot of virgin land. On the other hand we have a very big population and have been tilling our land for thousands of pots. Consequently the western pattern cannot serve our purpose. Pandit Deendayal emphasised that our manpower was our greatest asset and hence all our plans should be labour intensive. It would not be proper to instal big machines and hand over everything to the capitalist. This concept of a decentralised economy was forcefully advocated by Deendayalji. Those who carefully study the ideology propounded by Pandit Deendayal Upadhyaya would realise that its basic theme is ancient. Without doubt he did the work of highlighting what was enduring in what was old. At the same time he did not hesitate to point out what was transitory. It was through the process of transition and through the acceptance of new ideas that he placed before the people a clear political, social and economic ideology. The decentralised economy that our planners now want to emphasise by giving importance to cottage industries is the treasure house of thought that Deendayalji placed before the people. This shows how comprehensive and deep his thinking was. 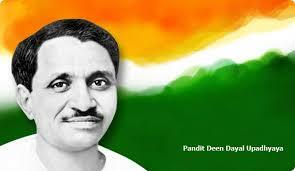 Thus Pandit Deendayal Upadhyaya was a many splendoured personality. But perhaps his essential quality as a leader has been described in that Shloka of the Geeta which Shri Nath Pai quoted in his tribute to Deendayalji: “He was one from whom the people did not turn away, and who did not turn away from the people”.